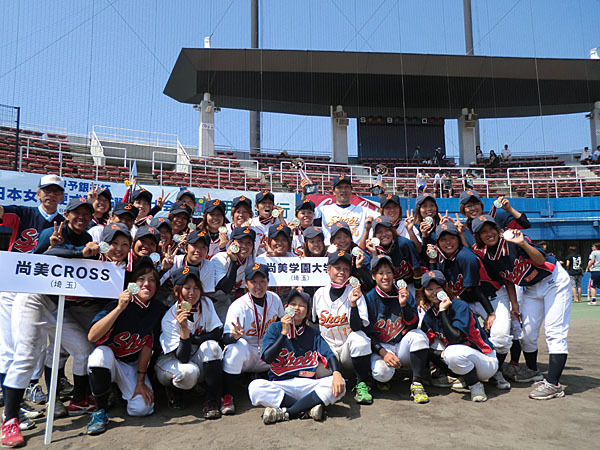 The 7th Women's Baseball National Championship, Shobi Gakuen University won at the second time after 3 years interval. The Final game of the 7th women’s baseball Championship closed with the Victory of Shobi Gakuen University against Shobi Cross which is the secondary team of Shobi Gakuen University. Yukari Isozaki, the starting pitcher of Shobi Gakuen University, who was also the starting pitcher at the final game for WWC in Venezuela last year, did a beautiful pitching today without allowing any runs. Ayami Sato, who is the best win-lose average and All Star Starting Pitcher in Venezuela, did great performances at quarter final and Semi-final bringing Shobi Gakuen University to the final game. Shobi Gakuen has several national team members including, SATO, ISOZAKI, OYAMA and NAKANO and they did great jobs, However, It is still not easy at all for them to win this tournament as more and more teams are improving and getting stronger.